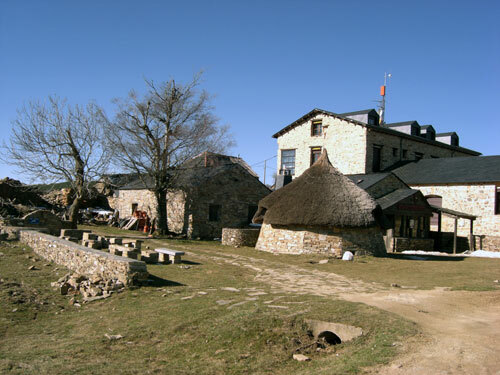 This Walking Holiday explores the sixth section of the Camino Frances / French Way, the most traditional of all the pilgrims' ways to Santiago de Compostela and the best known internationally. Start in Leon, one of the greatest cities in Spain and finish in Ponferrada, built by the Templars in the 12th century. 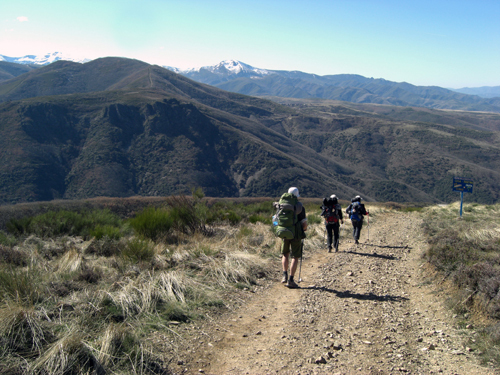 The Camino de Santiago, or Way of Saint James, starts on the central high plateau, and traverses the untouched and eerie Leon Mountains. Everyday, during the walk, you are guaranteed a high level of comfort and gastronomy. The Camino de Santiago is clearly marked with the “Scallop Shell” showing you the way. This walk can be physically demanding and requires a reasonable level of fitness. However, it’s a highly rewarding walk that includes numerous cultural highlights. The quoted price (to the right) is from price! Minor price adjusting can occur due to meals plan or/and accommodation. You will be pre-booked in a traditional hotel in the heart of the town. The historic centre of Leon is well preserved and worth visiting. Over the course of time, Leon became the capital of the kingdom in the Middle Ages; a historic enclave on the pilgrim's road to Santiago de Compostela. Don't miss The Pulchra Leonina (the 'Sistine Chapel' of Spanish architecture) & the old "Hospital de San Marcos". Leaving Leon, the urban area continues almost as far as Virgen del Camino (7km). 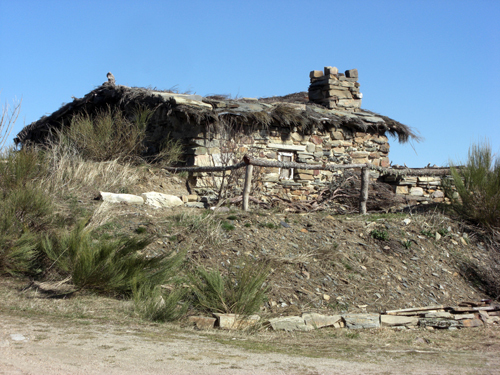 From this point on, the route becomes more interesting as you follow the historical Camino along the Plateau of Leon. You pass the famous "Puente de Orbigo" and leave behind the Plateau of Leon. The Leon Mountains can be seen up ahead and the end of this stage will bring you to Astorga, the capital of Maragateria. 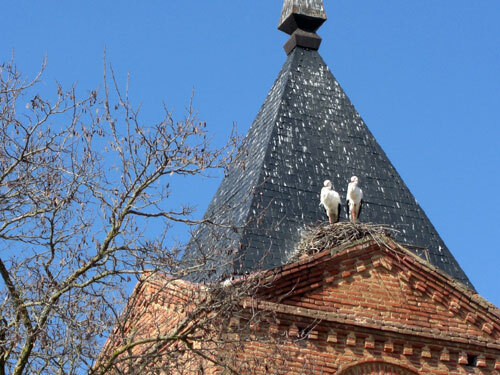 Not to miss in Astorga: Episcopal palace, the cathedral, and the city walls. We are now deep in the region as we gradually make our way up to the first foothills of the Leon Mountains. 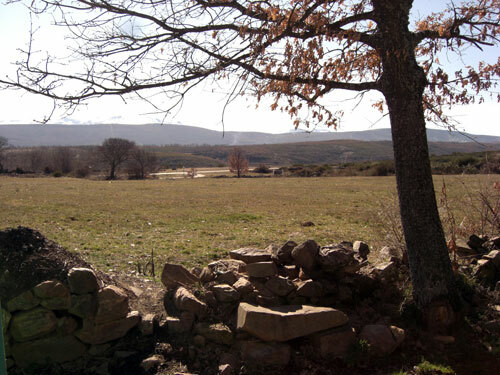 This part of the countryside is characterised by broom, oak trees and conifer plantations. One of the most rewarding days. Enjoy the beautiful broom and heather surroundings as you ascent to "Mount Irago". 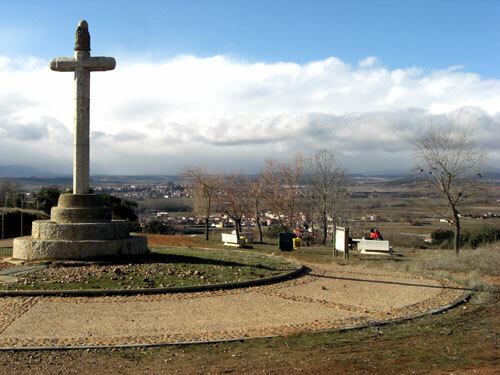 Witness the "Iron Cross" on the mountain pass before making your way ownwards to the wealthy area of Bierzo. Luggage transportation: Luggage will be transported from hotel to hotel. The baggage allowance is one item (maximum 20kg) per person. If you need to add more bags please contact us in advance. ♦ Fly in and out – It is best to fly to Santiago or Madrid. To/ from Madrid you can fly with almost every company. Check the Spanish national company: www.iberia.com. To/ from Santiago you can fly with Ryanair, Iberia and Aer Lingus. As well as there are internal connections with Iberia from: Frankfurt, Paris, Rome, Barcelona, Bilbao, Fuerteventura, Gran Canaria, Lanzarote, Madrid, Malaga, Palma, Seville, Tenerife and Valencia. ♦ Getting there – from Madrid to Leon you can go by train – the journey is 4.30 hours and trains depart several times a day. From Santiago you can take a bus (4 hours journey, several departures a day) or a train (6 hours journey, and also several departures a day). ♦ Getting back – You can travel to Santiago by bus (the journey is 3 hours long, there are 4 departures a day), and you can book the ticket on www.alsa.es. You can go by train as well – 3 hours journey, 2 departures a day. See timetables and book online : www.renfe.com. To Madrid you can take the train, the journey is 6 hours.